Arthroscopic hip surgery can help you recover from a painful hip injury or chronic condition while minimizing your downtime. 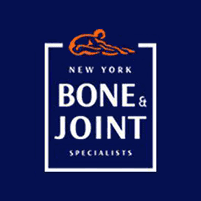 Rupesh Tarwala, MD, of New York Bone & Joint Specialists, is one of the best arthroscopic hip surgeons in NYC. Dr. Rupesh and his team of leading arthroscopic hip surgeons care for patients at the NYC practice’s Upper East Side, Midtown West, clinic locations. Book your evaluation online, or call the office directly to check appointment availability. Why do I need arthroscopic hip surgery? In some cases, arthroscopic hip surgery is essential to confirm — or rule out — a diagnosis. Dr. Tarwala may recommend arthroscopic hip surgery if high-definition images, CT scans, or MRIs aren’t providing enough detail about your condition. If you do need a diagnostic arthroscopic hip procedure, Dr. Tarwala can often make small repairs during the very same procedure. What happens during arthroscopic hip surgery? Your arthroscopic hip surgery will be tailored to your specific needs and the severity of your injury or condition. While you’re under general anesthesia, Dr. Tarwala makes several small incisions for the thin arthroscope camera, as well as for the narrow surgical instruments. How long is the recovery after arthroscopic hip surgery? Arthroscopic hip surgery can result in shorter recovery time and reduced risk of complications. Depending on your specific procedure, Dr. Tarwala generally recommends using crutches for a couple weeks to help you get around and minimize bearing weight on your treated hip. For more serious repairs, you might need crutches or possibly a cane, for up to four to eight weeks. But most patients who undergo arthroscopic hip surgery can walk around unassisted within the first month. You can expect a full recovery in as little as eight to twelve weeks, although you will likely need to undergo physical therapy sessions several times per week during that time. Dr. Tarwala and the team of top arthroscopic hip surgery specialists at New York Bone & Joint Specialists support you every step of the way to ensure you have a full recovery. Schedule your appointment with the best arthroscopic hip surgeons in NYC by clicking on the online scheduler or calling your nearest office.